These days, it feels like information overload. So how do we find the right tools for our students' needs? 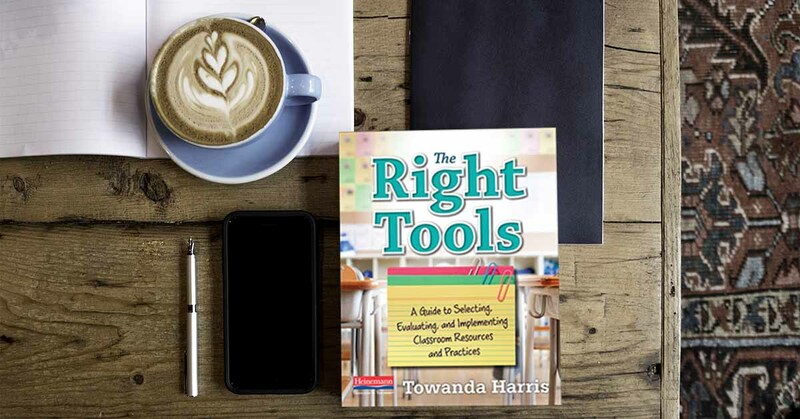 In her new book, The Right Tools: A Guide to Selecting, Evaluating, and Implementing Classroom Resources and Practices, author Towanda Harris lays out a path that teachers and administrators can use to make informed decisions abut what resources and practices they need for the students they teach. Towanda covers how to best assess students, balancing standards, and how to evaluate research-based materials. We started our conversation on how to recognize the value of a good tool. Towanda: Sometimes, when we use a tool and we don't consider who the tool is for, it's really hard for us to measure if it's successful or not. And so, I think that the criteria for a good or a great tool would have to be centered around the individual that you are using that tool for. That's just my gauge to make sure that what you put before, or what you use with students, that it's actually something that's useful. Brett: Well, and you really write a lot about ... Especially in the beginning of the book, how important it is to assess your students' needs before choosing the tool. Why is that so important? Towanda: You know, unfortunately, there are times in classrooms where we allow the curriculum to drive what we put before our students. And so, I think back to when I was a first-year teacher, I walked into the classroom and I remember not being able to use all of the different strategies and the different tips that my professors would give because I walked in and there was a program. And I had to figure out how to use this program to best meet the needs of my students. It was a scripted program. And with this scripted program it was pretty much a page-turner. And so, the idea behind it was to get through the lesson, and then once you got to the end of the quarter or the end of the semester, you would see some gains. There weren't any formative assessments along the way. You couldn't deviate from that. So it was just really frustrating to just use it knowing that my students had additional needs. With that, I had to find that happy medium. Not to say that the curriculum wasn't a good curriculum, but I had to find a way to supplement and scaffold that learning for students to make sure that all of my students in the classroom, that they were able to get to the end goal. Brett: Well, you're very honest at the front of the book about how you would collect a lot of resources and just stuff that was in your classroom, until you stopped and you questioned the value of those tools. What happened for you that made you take that moment, that pause? Towanda: I think it's funny. You get excited, you're a first-year teacher, and you want to conquer the world. And I think that you should conquer the world, but you walk in and you realize that you don't have a lot of things. And so, you do like any other first-year educator would do to start to gather what you think you want in your classroom. So, I remember the first day in my classroom, it was without students, and I had this whole idea behind how I was gonna decorate my classroom. I thought of my theme. I thought of the colors that I want. And I remember my parents ... I'm the youngest of seven, and they came in and they helped me. I had my mom cutting out letters. My dad, he's moving furniture. Everyone was put to work. And so, I had this whole idea centered around what I wanted to have in my classroom. I put my classroom library together. I put everything in place, so I thought. But the most important factor hadn't showed up yet. So, when you walk into this classroom, you're thinking, "Hey, I have everything in place. I have all of the things that I need," but not considering the students before you, all of those things become stuff. You know? They just become things that you're putting on the wall, but they're really not a useful tool to make sure that students are successful in your classroom. That being said, I had to kind of scale back once the school year started. 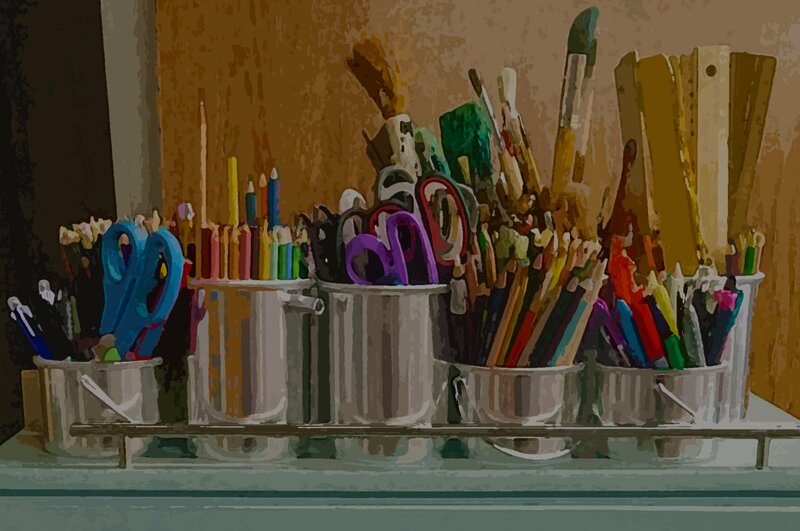 I had to make sure that things that I used, that they were really useful, and that they weren't just cute things that I set up in my classroom so that when others came in they would say, "Oh your classroom is just gorgeous." But I had students that were still struggling. My first year, I had probably ... I remember my first year, I had eleven boys and five girls. Wasn't that fun? I had a really rambunctious crew, and they were just ... They were amazing, but they just brought a different energy into the classroom. But I had students that were just reading 2-3 grade levels below where they should be, and not knowing that when I prepared my classroom, I set my classroom library up, or I put my centers together, not knowing the students that would sit before me, I realized that once I started using the stuff, it really wasn't very useful to them. So, I had to start to make modifications to the stuff and really make it a useful resource that was meaningful for them and not just busy work. Brett: Yeah, and that definitely seems to be an important message in the first part of your book, is avoiding that busy work and making it as student-centered as possible, really. Brett: All right. We're going through, and we're evaluating our students' needs, and we're considering everything, and we're reevaluating our own tools. How do we then take the next step of a concern that many teachers have, finding these resources without, as you write, "Squandering time and funding." How do we go about that with those two issues in mind? Towanda: Well, in the book, I came up with this tool that was like an inventory. My thinking behind creating this resource inventory was really just considering, "How do I look at everything I have in my room and start to categorize it by how I plan to use it?" So, I really just thought you have all of this stuff, you put all of these things on this particular chart, but then you have to determine is it useful for small group, is it most useful for whole group, individual, one-on-one? What DOK level does it address? All of those things, and you realize once you put all of that stuff on the list that you may have some gaps in the things that you have in your classroom. The idea behind finding the right resources is to complete the inventory list prior to the start of the school year. You really have to consider the learners that will sit before you each year. My first year, I had eleven boys and five girls, and guess what? Second year I had eleven girls and five boys. And so, the dynamics really changed. I'm like, "Okay, lemme try to figure this out." Going from a very rambunctious classroom and transitioning to a very talkative, emotional-driven classroom. And they both were really good, but I had to make sure that what I provided for them to learn, that it really pulled the best out of them and did not put them in a box. That really was my goal, to really find something that could meet them where they were and really pull them out. Maybe, sometimes, out of their comfort zone. When thinking of how to find those right resources that are for your students, you have to consider year-to-year what type of learner you have before you. Brett: I love how you write about evaluating those students' strengths and needs. You say, "It's the difference between running to the grocery store with a list versus running to the grocery store while you're hungry." Towanda: Yes. That was definitely a great illustration. I think of me going to the grocery store when I'm hungry, I'm just really grabbing. I'm just pulling whatever I can to, at that moment, meet my need of hunger, having something to eat. And so, I think of me being in the classroom, and when I was in the classroom, the times that I decided or I didn't have time to plan ahead and I had to do that on-the-spot type of teaching, it was very short-term. It met the needs of my students at that time, but it wasn't long-term. I didn't see that application into the other areas throughout the day. I didn't see a transfer into math. I didn't see a transfer into science, into social studies. It pretty much was, "Hey, I'm going to do this for this time." And I talk about the Compliance Monster. The Compliance Monster is, "I'm going to do it because you told me to do it, not because I understand why I'm doing it." So, when you go to the grocery store with a pre-made list, that means that you really put some thought behind the why you're getting certain things. So, planning ahead of time for the learners that are before you, you're making sure that you're accommodating for your visual learners, you're accommodating for your kinesthetic learners, or you're accommodating for your students that are above grade-level, or right at grade-level, or your struggling readers. Sometimes, when we don't intentionally make those accommodations or plan ahead, then they pretty much just get what we have to offer for them. The unfortunate part is, it may not be what they need at that time. Brett: We've done our assessment of our students. We know, for this year's students, strengths and weaknesses, or strengths and needs I should say, rather. We start to do our research in terms of what tools we want to bring into the classroom, but we start seeing the term research-based, widely-used. How should we consider the term research-based or tools that are research-based when considering or evaluating what materials we need? How do you approach that phrase. Towanda: It's funny, because you see the sticker slapped on a lot of stuff. Research-based, research-based, research-based. And not to say that things aren't research-based, but you have to consider who the research was completely on. A lot of times, you see this program, and it may work for a particular group of students, or you may see a resources that may work for a particular type of learner, and we make the assumption that when students aren't successful with that particular resource that we have placed before them, then there's something wrong with that student. And that's not always the case. My first few years in teaching, I was in a title-1 school. This particular school, I taught 5th graders, and the 5th graders came to me on a first grade reading level, and I'm a first-year teacher, and I'm thinking, "Wow, what am I going to do?" So, we were using a research-based program, and there were times when we had a read aloud. Well, the program of the title of the books were for a first grade student. And so, "See Jane Run," all of those, rhyming words, and the text, it was really for a first grade student, but I had 5th graders before me. I felt really, really bad just putting those things before them, so I started to make modifications myself. When we looked at the read alouds, I would bring in poems, I would bring in song lyrics, I would bring in different things that is more applicable to where they were as a learner and where they were as far as their age was concerned. So if I were to just stick to that research-based program and follow it verbatim, that really was research done on first graders and not for the 5th graders that sat before me. I had to make a decision as a teacher to find that happy medium between sparking that love for learning and that love for reading versus just going page by page in which they would just kind of be present for the moment, but the application of what I was teaching them never carried over because they couldn't make the connection between the why they were learning it. Brett: We feel we found a tool. We're ready to start to bring it into the classroom, but we also need to balance out standards that we need to meet. How do we manage balancing between student needs and standards that we have in our district? Towanda: That is a great, great question. I think of the classrooms I've been in, and my colleagues just watching instruction. I think sometimes we become so excited about activities that we miss out on the expectations that we have for our students. I remember a few years ago there were international baccalaureate units that we used. And with these units, there was a snow globe activity in it. One teacher, she just loved teaching snow globes, she was just married to the snow globes. She just would have this entire unit, the culmination of the unit, she gets to the end of the unit, and snow globes, it was just what was going to happen. And polar bears were in the snow globes, and all of those kind of fun things. Well, two changes of standards later, and we change to the Common Core standards, the teacher still wanted to teach snow globes even though the standards did not require students to know about the things that were within the snow globes. So, one of the things I had to challenge her with is that I understand you love snow globes, but think about the gaps that you're creating in students learning when you don't, at minimum, teach the expectation for that particular grade. Not to say that everything is driven, driven, driven by standards, but we have to make sure that there is a common expectation of what a student at a particular grade should know because that helps us to start to scaffold that learning and differentiate the learning so that all students can get the proper support that they need. And I think sometimes when we have teachers that decide what they're going to emphasize and what they're not going to emphasize, it may be okay for that year, but we don't always consider ... I call it Swiss cheese. The Swiss cheese that we are starting to form, the holes in students' learning from year-to-year. So I think of it as a progression. Activities are great, but if they're outside of the grade-level expectation, which would be the standards, then they're nothing more than an activity. So how do you measure success? How do you measure if students are progressing where they need to be? In the book, there's a chart that I have the progress monitoring descriptions. With those progress monitoring descriptions, it really identifies some of the behaviors that students should have at certain points. You have these different categories, and so, those different categories have behaviors that are tied to it. What does a student that is kind of below the bar, what does that student exhibit? The student that is on where he or she needs to be, what does that student look like? As well as above. And I think once we start to identify where students should be and how we get all students to continue to progress towards the same goal, it makes it a lot easier to have conversations and to best support them with the additional individuals that could come in to provide support. Brett: We've got our tool, we've got it working, we're evaluating as it goes. What are the best ways for us to stop, evaluate ... And I think you sort of talked about this in that last answer? How do we know it's working? Towanda: I talk a lot about the difference between formative assessments, summative assessments, diagnostic assessments. And I think that there are times where they may be misused in the classroom, that a formative is sometimes used as a summative. So, in the book, I talk about a formative really just forming instruction for the days to come. When you have a lesson or an activity that's based on a standard or a skill, you can then monitor if the student is doing well on that particular standard or skill, and if you find as you are teaching this particular standard or skill that students are progressing through that through formative assessments, then you can go back and scaffold in or differentiate your instruction to ensure that all students are headed to the same path. And when you're talking about a summative assessment, that would be at the end. We've done this entire unit, and I've used my check points. I have progress-monitored students along the way to help me to make modifications to my day-to-day instruction. And at the end, I have a better idea of where my students are. And I think that when we use them incorrectly, it makes it really hard for us to have a clear measure on where students are truly progressing towards and how we should best meet the needs of each of those students. Brett: Well, Towanda, we've gone through some of the key highlights of the book, but I wanna stress to people that there's so much in here that is so useful. The book is so beautifully laid out. The chapters flow beautifully from one section to another. You're with us as those questions are popping into our heads. But the deign and layout that you have is just beautiful. Brett: The book is in color, and I just absolutely love the book. Towanda: Yes, I was very, very much excited. My number one goal when just even given the opportunity to write this book, it was to make sure that this was something that was very useful for teachers everywhere, educators everywhere, I mean, even administrators, how to best support that first-year teacher, or the teacher that's really trying to do their best but doesn't quite know how to get that done. And making sure that the layout was very user-friendly and that I provided a lot of things, a lot of tools, to help the teacher gauge where he or she is in the process because I think at the end of the day, when we don't use the right tools with our students, we're causing more damage than good. We are simply just given them an activity to be a part of, but we're not essentially adding to who they are as a learning. So the goal is not to just prepare students to pass a test or to prepare students to get an A. The overall goal would be to just strengthen them as a learner, to spark their interests and their motivation to want to gain more knowledge, and to just be excited about their accomplishments. In the book, I talk about goals. Students setting goals, and teachers working with them one-on-one to keep a tab on their goals, but allowing the student to take ownership over their learning. And I think sometimes when we want to help to move them and we want it more than they do, it's hard for them to see how their day-to-day efforts influence or impact that end goal of being successful. So, with the individual goal tracker and having the one-on-one conversations centered around the goals that the teacher as well as the student have set together, it helps them to really see directly how 20 minutes a day can help to just move the needle. Help them to become better readers, or help them to increase their comprehension of the text, and just to really get them excited about approaching their learning. How do I collaborate to learn even more? Sometimes I remember my first year teaching, just trying to figure things out and thinking that I had to do it all on my own. And I remember having a mentor teacher that was just absolutely amazing. She would just meet with me weekly, and I realized that with her meeting with me weekly, there was power behind just having a conversation around what's working in your classroom and what is not. And so, in that chapter, one of my most favorite charts that I have in there is, "Who's Invited to the Table?" You think about all of the individuals that would be in a school building. You'll have the special education teacher. You'll have the gifted teacher. You'll have the EIP teacher, the counselor, the grade-level chair. Every one could be invited to the table, but when they're invited to the table and there's really not a purpose behind them being at the table, then they're just there. You want to make sure that when others are invited to the table, that the end goal is to make improvements or to help to support the students that you have. And so, the chart that's entitled, "Who's Invited to the Table?" I go through and I just really lay out what would their role be. If you invite them to the table, how can they best support your student? If they're going to sit there, what can they contribute to helping to meet the goal that you have for your students? And I think that once you realize that you are not alone in this journey, that collaboration is key, that there is power behind planning together as a grade-level to lift misconceptions that all of your students, or students On the grade-level, may have. Then that planning piece becomes even more powerful. I get to play off of your strengths, and you get to play off of my errors of growth, and we're working together to strengthen each other so that every child gets quality instruction throughout the building so there aren't just pockets of strong teachers, but we're coming together to pool our resources, pool our knowledge, and really make sure that what we are providing for every student in the school building is quality, and that we've leveraged everyone in the school building to accomplish that goal of putting the right tools before every student that walks through the door. From the classroom to the district, Towanda Harris has trained teachers throughout the state of Georgia. 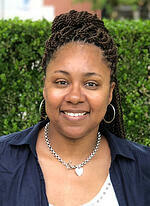 She brings almost 20 years of professional experience to each of her sessions. Her workshops are engaging and provide teachers with useful tools that allow them to reflect on their current practice. Originally an elementary school teacher, she has served as a literacy coach, adjunct professor, K–12 staff developer, and curriculum writer. Some of her presentations at state and local conferences include, “Welcome to Comprehensionville” (Georgia Reading First Conference 2007), “Change is Not a Four-Letter Word” (Teachers of Atlanta Conference 2017), and “Creating Superhero Writers” (GDOE Summer Literacy Institute 2018). In addition to writing and consulting, Towanda serves as an Instructional Leadership Coordinator for an urban school district in Atlanta, Georgia. She and her husband Aaron have two sons and one daughter.